Creating a beautiful, healthy smile is one of the things we do best! Our doctors treat teens and adults, correcting a variety of issues (including improper alignment of teeth, overcrowding, uneven spacing, overbite and underbite) using the industry’s most advanced technology. Invisalign is an effective orthodontic treatment that is virtually invisible to others. 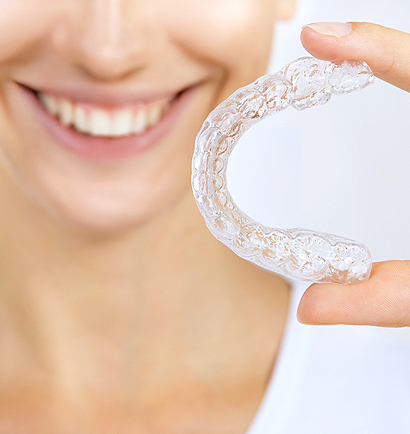 A series of clear, removable plastic aligners, tailored to each patient, is used to gradually shift the patient’s teeth. In most cases, dental insurances offering orthodontic benefits, cover this treatment.